I was recently contacted by Breanna Barden, the Design Editor for The Sound, an award winning high school newspaper in Gig Harbor, Washington. Not a publication I'm overly familiar with, but you have to embrace these random internet meetings sometimes. She was doing a story on how graphics are used to bring superheroes to life and wanted to ask me a few questions about Hellboy 2. 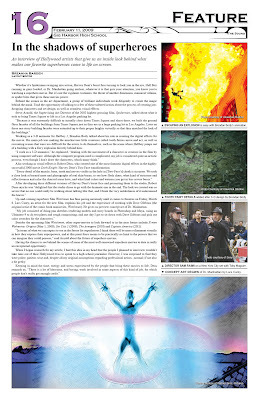 Here's the article as it appeared in the February 11th issue of the newspaper. Congratulations Breanna, it was a pleasure to be involved in your project. 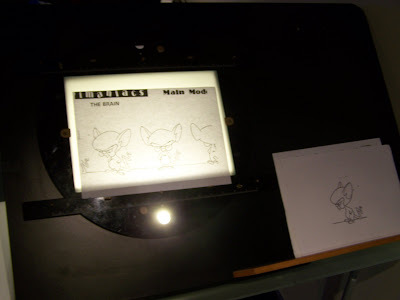 Recently I've had a strong desire to go to back to doing some traditional, drawn animation, it's something I haven't done since Art College but always enjoyed. 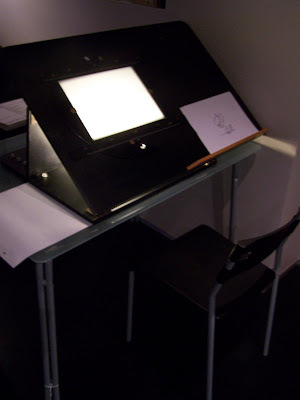 So I've bought a second-hand animation lightbox, hopefully this will help me with the animation I do at work as well as improve my drawing skills, which have been severely neglected over the last 8 years. If they're not too embarrassing, I'll post the results here soon.